AccessPost Overdenture | Essential Dental Systems, Inc. The EDS AccessPost Overdenture provides more advantages than other passive overdenture posts. The patented thick-walled, hollow-tube design, stabilizing flange, and undercuts of the shank offer strength, retention, and stability, with the added assurance that re-treatment becomes a routine procedure. The attachment can be placed without lab assistance at chairside and with the ball-and-socket attachment, there is no need for parallelism. The system can be used with the EZ-Change keeper and cap insert system, allowing for easy and quick nylon cap replacement. 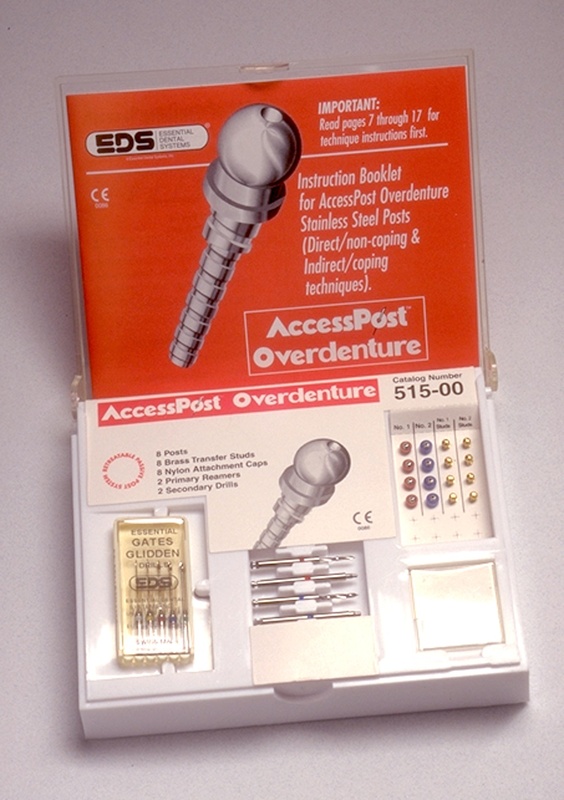 The AccessPost Overdenture offers all of these great features at a competitive price.